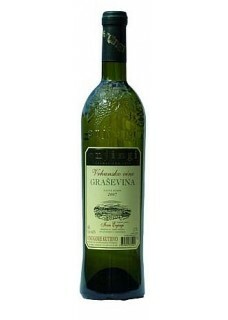 The traditional view that the Graševina grape is not used for premium wine is history. In Slavonia, wine makers - and Ivan Enjingi in particular - have shaped this grape into an elegant and sophisticated wine for the discerning palate. This late-harvest Grasevina is a silky-smooth dry wine, with a full body and a palate of warm autumn fruit. Luscious and long lasting concentrated ripe fruit, honey and sweet exotic spices. Very rich and powerful alcohol, perfectly balanced refreshing acidity, soft sweetnes on the finish. Food pairing: Salmon, poultry, pork.